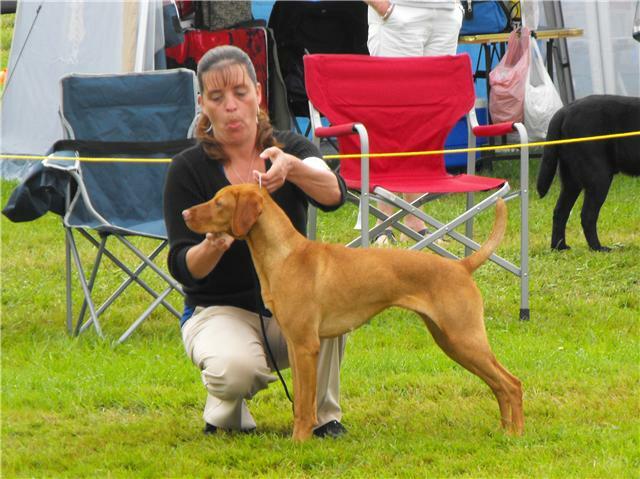 Tragically, Anita passed away in September, 2011 thus ending her dreams for her Charlee Girl! 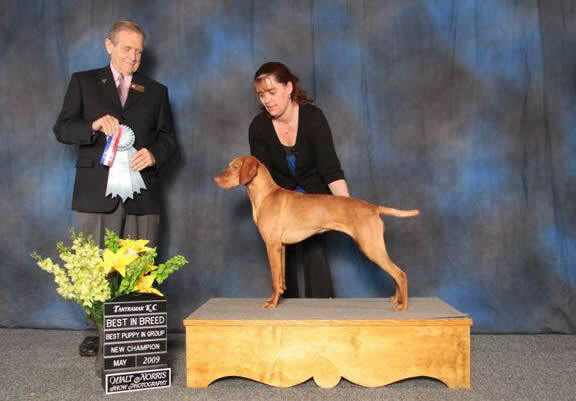 Anita's beautiful smile and Charlee's Roo Roo Roo are still missed at dog shows around the Maritimes and Anita will be forever missed in the lives of those of us who loved her. 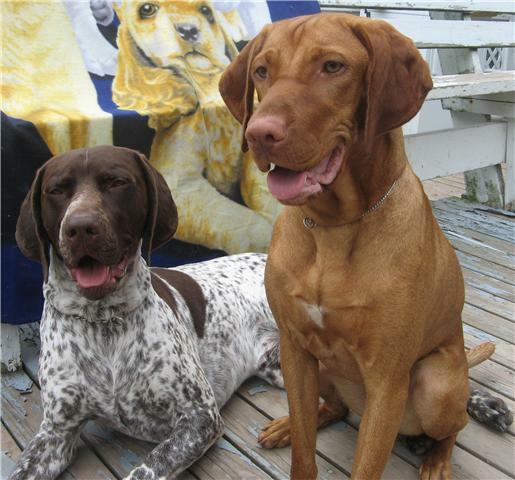 Charlee was spayed and placed in the home of a lady who had lost her Vizsla of 14 years. She and her grandma Cali get to spend their days together, greeting guests at the Inn and playing on the beautiful property that is now their home on Cape Breton Island. I still catch myself waiting for a phone call ............. "Wait till I tell you what Charlee did!" 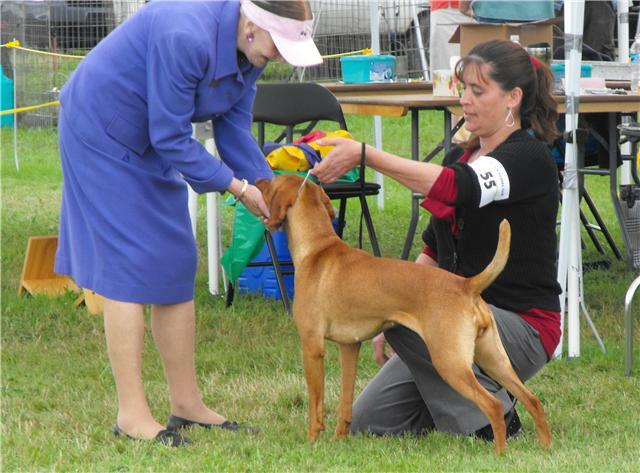 Shown in the photos above is Charlee and Anita after completing Charlee's Championship and receiving her 2nd and 3rd BPIG wins. 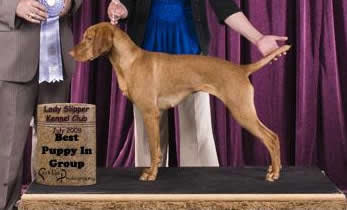 Charlee is the first of our vizslas to ever win more than 2 BPIG's. She was born on Sept 7, 2008, (Dam is Stella, a 2 time BPIG winner (her1st litter) and Sire is Romeo) and was my female choice from the litter. Anita fell in love with her during puppy testing and though it took a while to work her into her home, Anita was successful in convincing Tommy there was room for one more pet.